I started in the profession of webmaster and I'm French (sorry for my bad english), so I have a lot of issues regarding this is to understand how the implementation. I would like to test your template "job engine" on my site, to see if there conveint well to what I research before you buy the rights. I can not put in the site properly. "This is a marker file generated by the precompilation tool, and shoulds not Be deleted!" I think it comes from parametrage the database, yet I tried to apply the instructions that you have left on your tutorial. However, these instructions do not seem clear enough for me. Can you explain in more detail how to parameterize correctly please. 1. 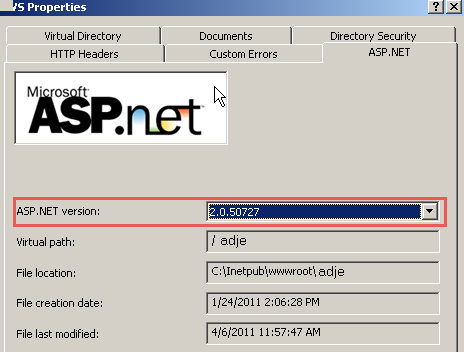 You have forgotten to choose Version 2.0.50727 under the ASP.NET tab of the properties dialog of the Virtual Directory. 2. 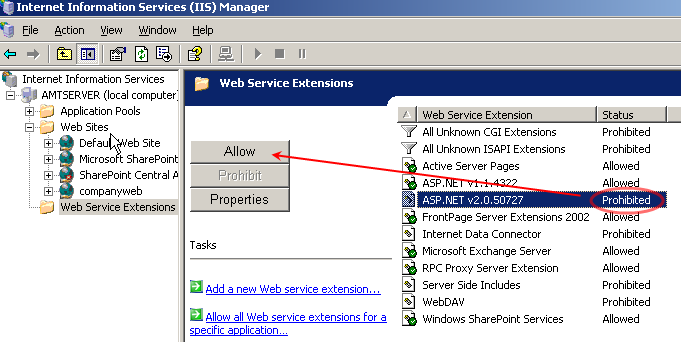 ASP.NET 2.0 is disabled as a web service extension in your IIS Server. 3. It can also occur if IIS has lost its mappings to ASP.NET. In which case, the remedy is to register the ASP.NET 2.0 again through command line. Run the command "aspnet_regiis.exe -i". This may take several minutes and will report the success/failure of the process. If this does not work, you may need to reinstall IIS. Version: 1.0.33.3 ; Page loaded in: 0.032 seconds.